In case, your bathroom is not large or the floor space is not enough, invest in hanging cabinets. They are an ideal choice for smaller bathrooms. They can be hung on the walls and doesn’t hinder the floor space. This means you can get all storage benefits without comprising with the amount of space. The other type of cabinet that is immensely popular is the floor cabinet which is often installed in larger bathrooms. Since these cabinets take an ample amount of space, they are more preferred for bigger bathroom spaces. The benefit of opting them is they offer more storage space and are easy to access compared to the hanging ones. Also, the risk of falling or damage to the floor is greatly reduced. If you are living in a rented apartment, it is better recommended to opt for affordable plastic cabinets rather than the expensive tiled or timber ones. The plastic used in the manufacturing is generally of a good quality and risks no damage to the walls and floors. One of the advantages of plastic material is its capability of resisting water. The only downside of this bathroom cabinet is that it is not long lasting. So, these are some of the common bathroom cabinets you should consider installing, especially if you desire to have a modern bathroom. 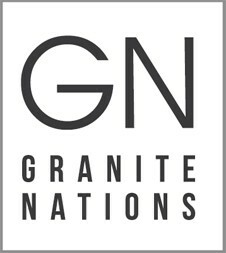 If you want to get the best of granite countertops, backsplashes and cabinets for your next remodeling project in GTA, please feel free to visit us Granite Nations. Top 5 Backsplash Ideas To Make Your Kitchen More Appealing Granite Vs Quartz, Which Kitchen Countertop Should I Install?